The Super Bowl, arguably one of the biggest live television events of the year, should draw an estimated 111 million viewers on Sunday. Seizing on an occasion that draws people together (minus, perhaps, a few thousand Saints fans this year), the Memorial Day Flowers Foundation will share photos and names of fallen military heroes on social media. With a rapt audience online, Sunday evening is a good time to shine the light on soldiers who gave the ultimate sacrifice – and it reminds Americans that their freedoms come at a great price. Ramiro Peñaherrera, owner of LatinFlor, in Quito, Ecuador, founded the Memorial Day Flowers Foundation in 2011. In its first year, the group coordinated the donation of 10,000 Ecuadorian roses, which about a dozen volunteers distributed to visitors at Arlington National Cemetery, outside of Washington, D.C.
Last year, more than 3,000 volunteers helped the Foundation place 396,500 flowers at 40 cemeteries to honor fallen military heroes and veterans at cemeteries on Memorial Day. “This represented an increase of more than 150,000 flowers from the year prior, and nearly a 40-time increase from the first project in 2011,” Miller said. The group is already organizing for Memorial Day 2019 and expects it to be the biggest event yet. To sign up as a volunteer or donor, visit memorialdayflowers.org. There, you’ll find step-by-step instructions on creating and publicizing an event at your local cemetery and registering for a Memorial Day Flowers kit. “You can also contact your wholesaler,” Peñaherrera said, adding that the Foundation has a substantial roster of sponsors around the U.S., as well as in Colombia and Ecuador. 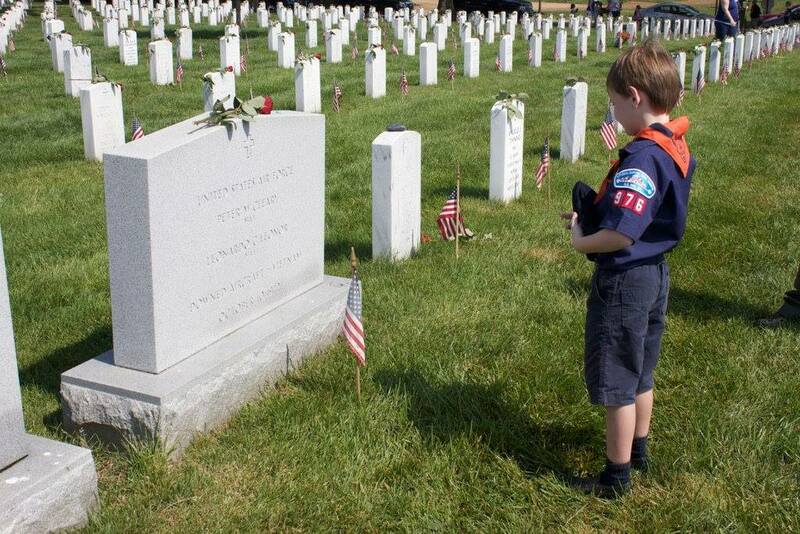 There are more than a million gravestones, including tens of thousands at military cemeteries like Arlington National, which go unrecognized on Memorial Day without floral donations and volunteers. “It really does take a team effort by so many people to make this project possible,” Miller said.